The World Cup, after the quarter-finals, starts towards the penultimate act, which is the semi-finals. But this time with a framework that makes it a sort of European football festival. With the elimination of Uruguay and Brazil, in fact, the football of the old continent has gone to occupy the whole scene, confirming a state of fact increasingly evident. The first semi-final in the program, the one between France and Belgium, will have the St Petersburg Stadium as its theater and it looks like it is extremely balanced. Now France, after the victory with the tough Uruguay can be considered the real favorite for the final victory. The cockerels took advantage of the absence of Cavani and immediately managed to take the right measures to Celeste. After taking the lead with Varane, the French then took advantage of the resounding blunder Muslera to put the result in the safe. In the end, the greatest danger was that triggered by a fight started due to a simulation of Mbappè, an aspect on which Deschamps will have to work in order not to find himself with some sudden training hole. Lloris; Hernandez, Umtiti, Varane, Pavard; Pogba, Kantè, Matuidi; Mbappé, Griezmann, Giroud. Belgium is in turn a veteran of the most resounding company of the quarter, or the elimination of Brazil. If there was much to expect the growth of the team in this world championship, at the same time few thought that Hazard and his team could compete at the highest levels. 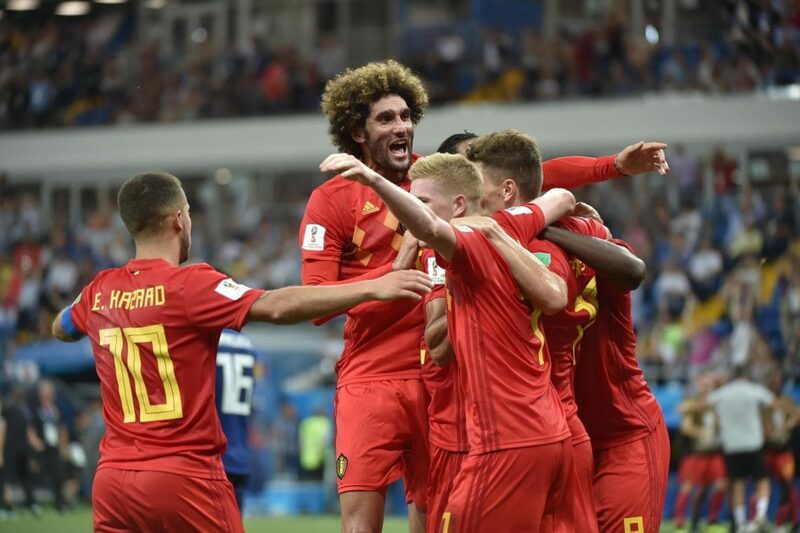 On the other hand, Belgium has shown that it has now matured, also thanks to the evident growth of an entire generation of champions, which are now preparing for another exam of maturity. Courtois; Alderweireld, Kompany, Vertonghen; Meunier, Witsel, Fellaini, Chadli; De Bruyne, R.Lukaku, E.Hazard.